Homepage / Cat / Why does My Cat Lick My Hair? Why Does My Cat Lick My Hair – Cats are able to find fun in things that may be insignificant for humans: a box, a paper ball, something they find lying on the floor or on the table, including their hair! All these are elements capable of entertaining the cats for some time. When it is your hair that is part of the joke, is it possible that you are rewarded with good cat licking, causing you to wonder why my cat licks my hair? Does he like the taste or is there another hidden reason? In addition, if you have more than one cat at home you should have already asked about what it means when a cat licks another cat. Cats lick each other when they belong to the same social group. This is a way of reaffirming the bond that unites them and of sharing the same odor between them. This is what it looks like your cat is thinking about when he starts licking his hair vigorously. Hygiene is one of the unquestionable reasons why your cat licks your hair. It is very common for the cat to try when he sees the tutor lying down and even when you are sleeping because he would like to enjoy a relaxing bath before napping. The taste buds of cats are designed not only to detect flavors but also to clean any accumulated dirt on the surfaces. For this reason, the tongue of felines has a rough texture that looks more like sandpaper. It does not matter if you use the most expensive products on the market in your hair, nor the exhaustive care you have with it. If the scent is unpleasant to the feline, he will prefer to scent his hair with a much more pleasant odor: his saliva. Many experts guarantee that: cats do not lick other beings (cats, dogs, humans, etc.) unless they have a great affection for them. For this reason, when your cat licks you, your sincere love for you is shown. It’s exactly the same if he tries to lick his beard. It is a way of repaying the caresses, the affection and all the attention you give him, in an equally loving way. You’ve probably noticed that your cat does not lick every member of the family back home. This is because the cat only licks the closest humans and friends, who are part of the feline’s own family, only these have a privileged treatment. 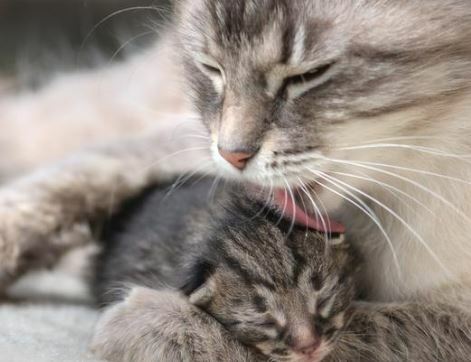 Some cats start by licking their hair and end up with small bites, which can be on the same hair or on the scalp. If that’s the case, your cat wants to play with you! Cats relieve stress and nervousness in different ways. Among them, we should mention the mania of sucking or licking the hair in a repetitive and restless way. 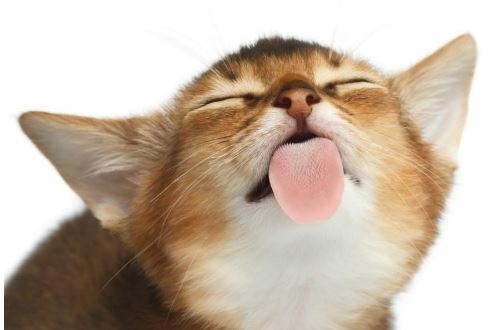 The cat may lick its own hair in this way, even causing wounds. It can also happen that the compulsion causes you to lick your hair when you have it around (like when you share the bed or sofa with it). Despite all the positive reasons we describe for the cat to lick the hair, there are people who are uncomfortable with this behavior and do not know how to make the cat understand that behavior is not desired. Next post How Often Should You Walk Your Dog?